D’Artacan sees the man with the black moustache, Count Rochefort and, while pursuing him, manages to offend each of the Three Muskehounds in turn. He has to fight a duel against each of them in turn, but the first duel is broken up by Widimer and the guards. D’Artacan and the Three Muskehounds join forces to put Widimer’s men to fight. 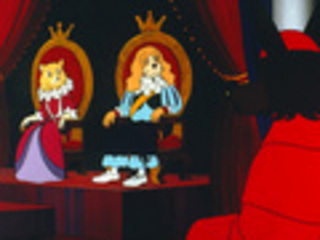 Widimer reports the affair to Richelieu, who sees it as an opportunity to draw the KING’s attention to the MuskehoundS’ illegal duelling.